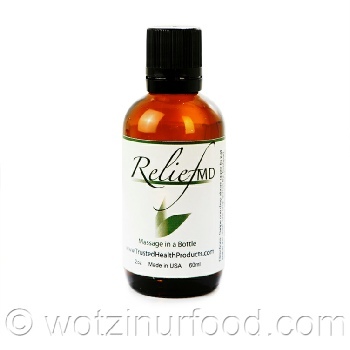 For the Discomfort of Sore Back/Neck, Swollen Joints, Sore Muscles, Muscle Strains, Sprains, Headache, Bug Bites, Cold Sores and More. ReliefMD uses a revolutionary new approach to extract living nutrients from plants and nuts in order to deliver a 100% pure formula of botanical oils (from nature herself) to feed our body the nutrients it wants. Spearmint – is generally used for its anti-inflammatory and anti-spasmodic properties, and in skin care, it is used as an anti-bacterial and anti-fungal.